The vast majority of High School student athletes have spent a good portion of their youth dedicated to a sport that helped define their formative years. However, when taking that step from grade school teachings to collegiate academics, not only will their work in the classroom take a great leap forward, but the playing field of athletics (especially at D-I schools) will also prove considerably tougher. 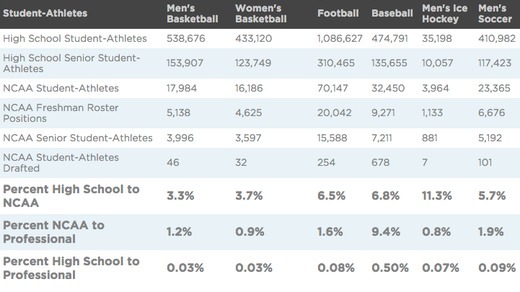 When referencing the NCAA’s site, just a glimpse at the pure numbers for High School Senior Student Athletes participating in the major sports in 2013 reveals that many students will find themselves forced to make the switch from student athlete to full time student once college begins. Of course, for those of you who want to focus on continuing athletics at the next level, by all means, keep going! Yet for those of you curtailing your sports involvement and feeling a bit ambivalent about giving it up, know that your engagement with sports doesn’t have to be an all or nothing commitment. It is important to acknowledge that leaving behind a sport that has fueled you for so many years can leave a void in your life and have you longing for your days of athletic achievement again. Don’t look at the dream ending here or as if your years of hard work and dedication to your sport were a waste of time. Instead, we offer you some ways to translate your love and passion for sports to the collegiate level, without necessarily having to step foot back on the court, field, or ice. You will undoubtedly glean a great deal of invaluable insights from time spent in the classroom as well as from the myriad collegiate social interactions that will present themselves. Such opportunities to listen, engage, and contribute will offer you, the student athlete, novel ways to draw upon the powerful skillsets you have learned from participating in sports throughout the years (i.e. teamwork, leadership, reliability, time management, discipline, etc. ), thereby deepening your experience. Yet for the purposes of this blog post, let’s focus on one of the other key fitness elements underlying your collegiate experience: the gaining of future employment. As a longtime devotee to the world of athletic immersion, you can harness your experiences and knowledge for sports into a lucrative career. Let’s explore some of the majors that can take you down the path of becoming the next big sports agent, leading anchor on ESPN, or head athletic trainer for the Lakers (Kobe needs you!). First off we will examine a field recognized by the American Medical Association: the all-important path of Athletic Training. As described by National Athletic Trainers’ Association: “Athletic Trainers (ATs) are healthcare professionals who collaborate with physicians to provide preventative services, emergency care, clinical diagnosis, therapeutic intervention and rehabilitation of injuries and medical conditions.” With this program you’re afforded the opportunity to work hands on with the top athletes at your school. You will spend your time advising athletes on avoiding injury (through therapeutic exercises and nutrition) as well as assessing and treating sports-related injuries. This will keep you active and on the sidelines of the big games during your collegiate career, and can easily provide an invaluable segue into sports related (and non sports related) careers after graduation. As athletically inclined as this major is, you certainly need to take a substantial number of Health and Physical Education classes to qualify, which can also be applied to a career in or out of the world of AT. Your career destination beyond college can range from working in professional sports, high schools, colleges & universities—which make up 20% of the Athletic Trainer workforce—to hospitals and clinics such as orthopedic, pediatric, and sports office practices, clinical and Industrial health care programs, and performing arts organizations. Cirque du Soleil, Disney World, Radio City Music Hall Rockettes, Blue Man Group, Pittsburgh Ballet Theater, etc. all employ ATs to keep their performers in peak condition. And the list goes on. According to the U.S. Bureau of Labor Statistics Occupational Outlook Handbook (2014-2015), “the employment of athletic trainers and exercise physiologists is projected to grow 19 percent from 2012 to 2022, faster than the average for all occupations. As people become more aware of sports-related injuries at a young age, demand for athletic trainers is expected to increase, most significantly in colleges, universities, and youth leagues.” NASA even hires ATs to train astronauts to get ready for space flight. If both caring for others and partaking in hands-on work with athletes appeal to you, perhaps Athletic Training should be considered, if the program is offered at your school. If a more business based approach to athletics appeals to you, then perhaps majoring in Sports Management is a route to consider. This intriguing major allows you access to the exciting world of sports, yet from an innovative and enterprising, managerial savvy, human resources, and/or PR/interpersonal relations standpoint. Yes, being an NFL star would be exciting, but you’re looking at a career that on average lasts only 3 years, while a career in sports management won’t end once you’ve used up all the cartilage in your knees. This major allows you to explore how the worlds of sports and business interact, and how to make these two worlds more profitable. You’ll learn sports marketing, event planning, sports publicity, coaching, and administration. While the focus is on sports, you will take on elements of economics, accounting, marketing, psychology, law, and communications along the way. The typical careers of Sports Management majors include Agents, Managers, and Publicists who negotiate deals for some of the biggest names in sports, earning a percentage of every deal they sign. 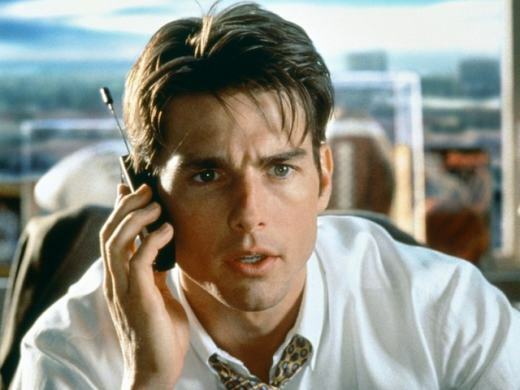 The life of Ari Gold, Jerry Maguire (or the real life version, Leigh Steinberg), and Drew Rosenhaus, are all within reach. Communications is a very broad major that offers many specific disciplines. If you, like many, wish to become the next big name sports anchor on ESPN, a communications major will point you in that direction. Acting as a sports anchor for one of the leading stations will give you unrivaled access to the biggest names in sports, and you get paid to talk about sports all day (a win/win). However, if you should fall short of that coveted ESPN sports anchor opportunity, a Communications major will lend itself admirably to nearly any career (i.e. Public Relations, Online Journalism, Marketing, Radio, Management, Admissions Counselor, Advertising, Theatre/Performing Arts, Government/Politics, International Relations, Law, Social Services, etc.). Be sure to check out the Top 10 Jobs for Communications Majors by salary potential. If the world of athletics provides an itch that you must continue to scratch at the next level, your options are numerous on how to continue the path. How do you plan on incorporating sports into your college experience? Leave a comment below, or connect with us on our Facebook page.